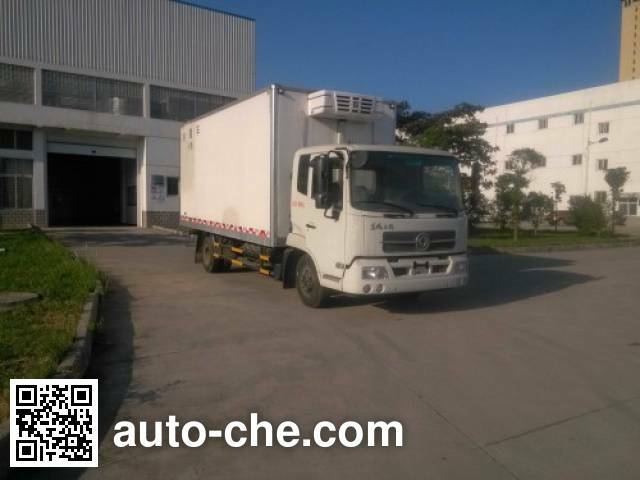 Dongfeng DFH5160XLCBX2A refrigerated truck manufactured by Dongfeng Commercial Vehicle Co., Ltd.
Dongfeng Chinese refrigerated van (fridge / reefer truck) DFH5160XLCBX2A manufactured by Dongfeng Commercial Vehicle Co., Ltd. (a commercial vehicle manufacturer in Wuhan, Hubei Province, China; manufactures a range of Dongfeng vehicles, including refrigerated vans (fridge / reefer trucks)); the refrigerated van (fridge / reefer truck) based on DFL5160XXYBX2A chassis. 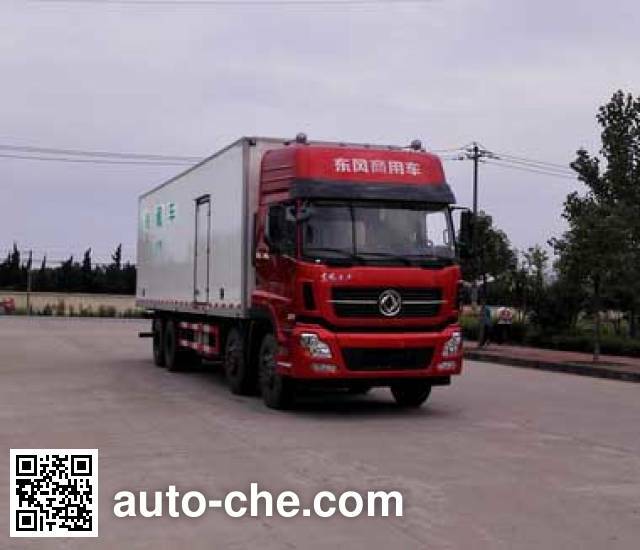 Tires are 9.00R20 16PR, 9.00-20 16PR, 275/80R22.5 16PR, 10R22.5, curb weight is of the China refrigerated truck 7600 kg, gross vehicle weight is 15790 kg, cargo body is 7400/7100 × 2400/2300 × 2300 mm, wheelbase is 5600 mm, diesel fuel, environmental standard is , rated capacity is 7995 kg, with ABS, max. 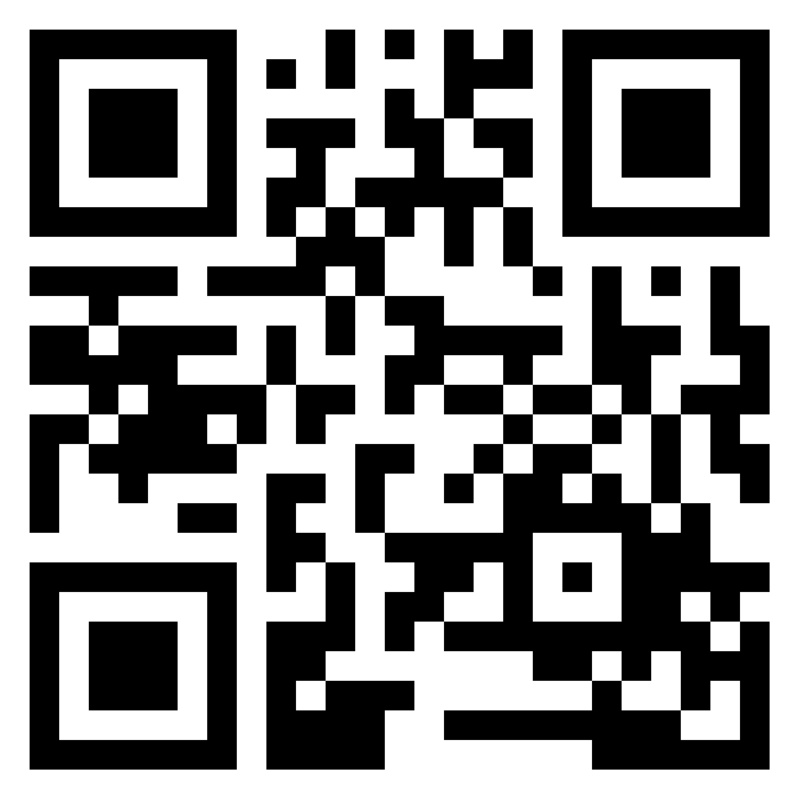 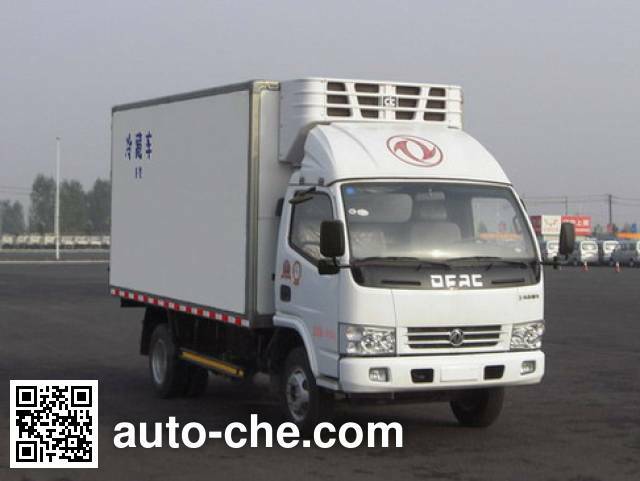 speed is 98 km/h, engine: EQH160-40 / EQH180-40, cab seating capacity is 3. 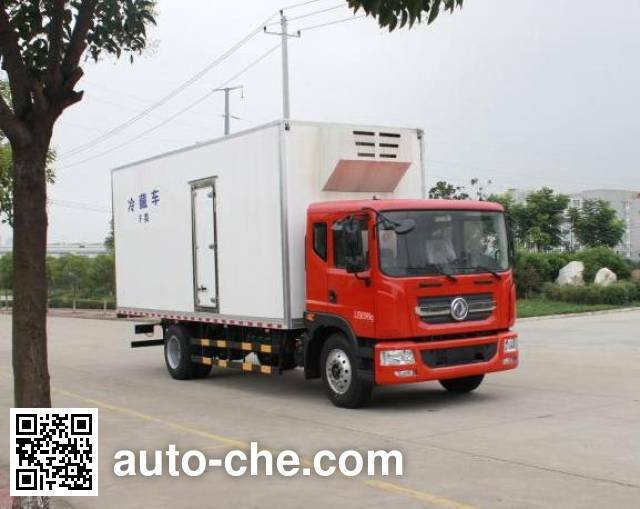 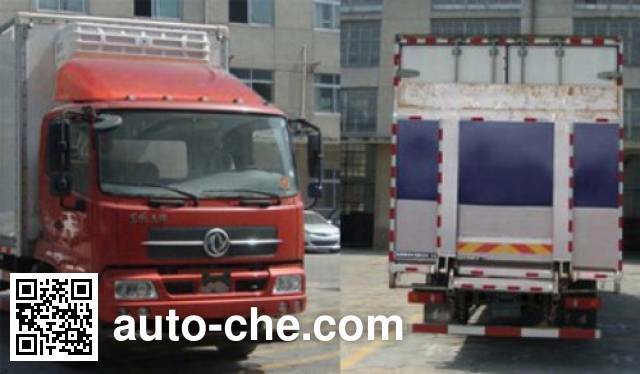 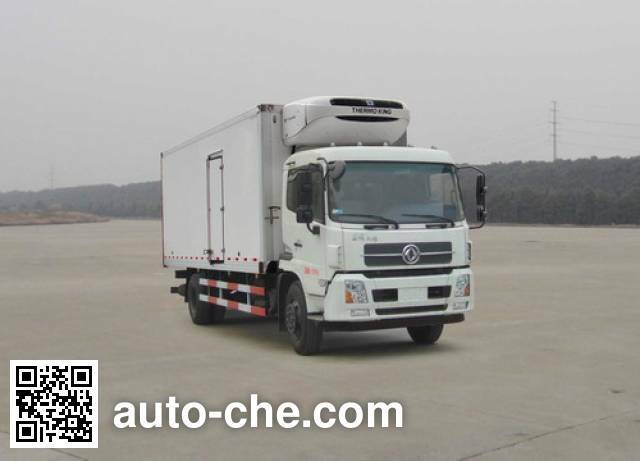 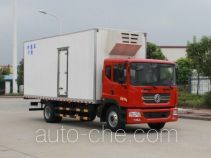 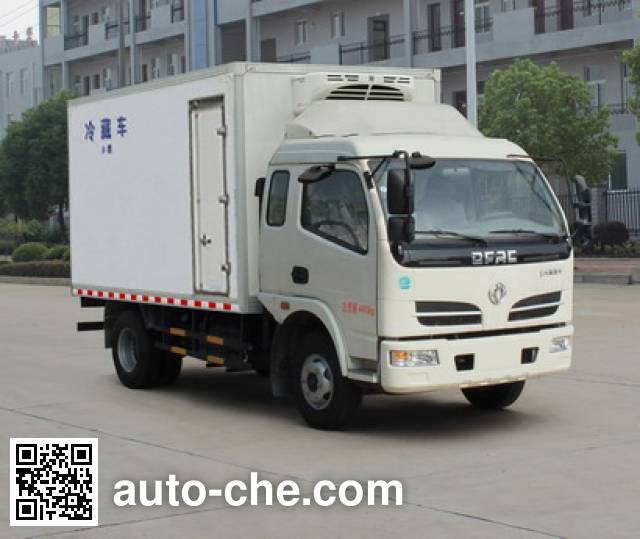 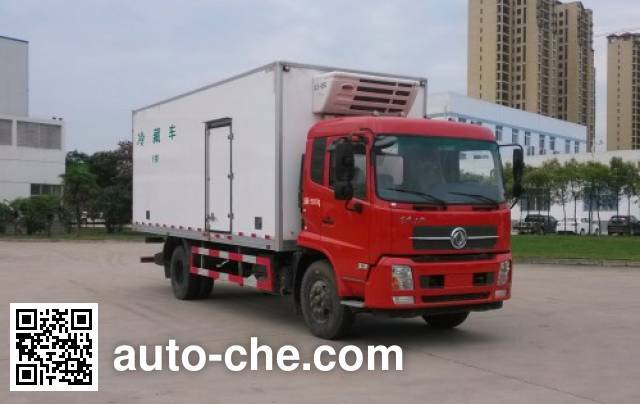 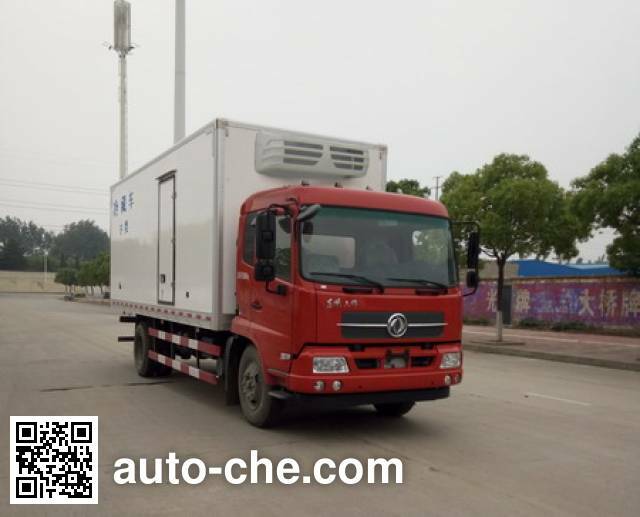 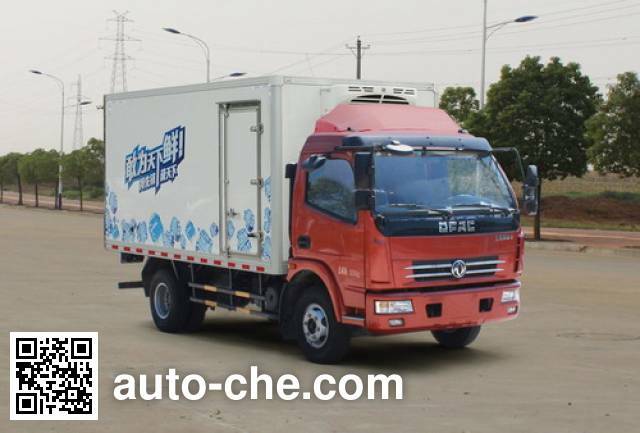 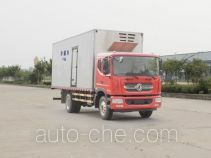 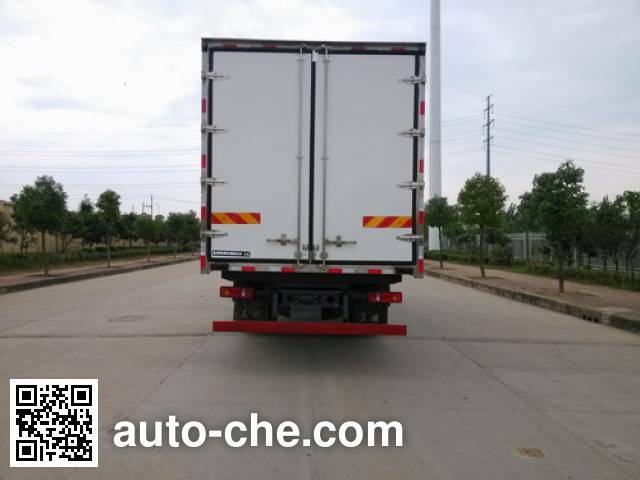 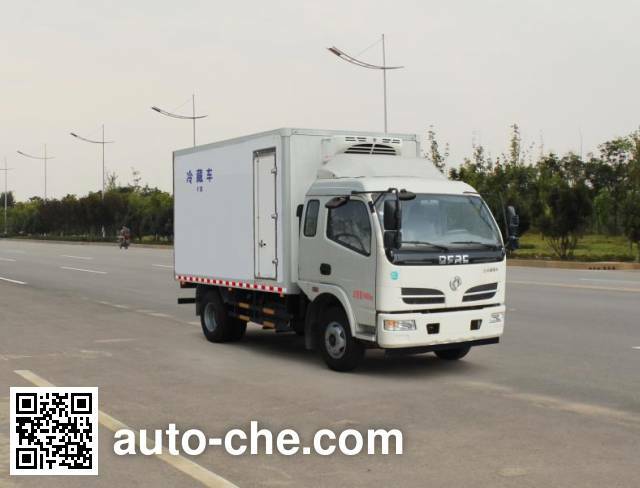 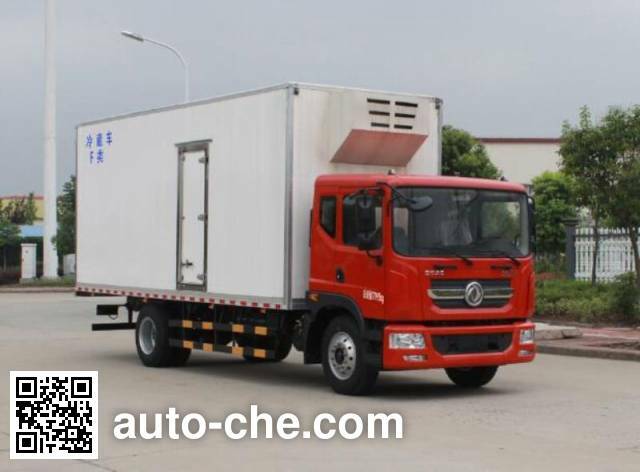 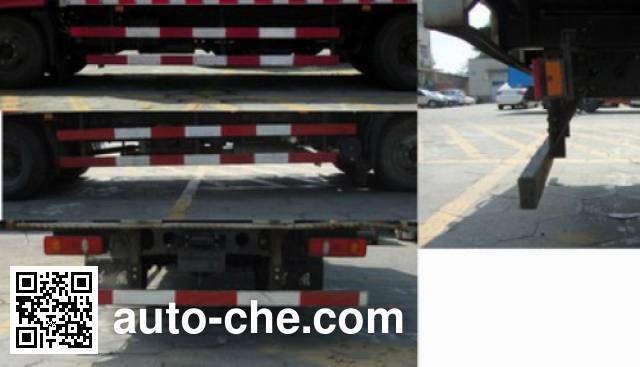 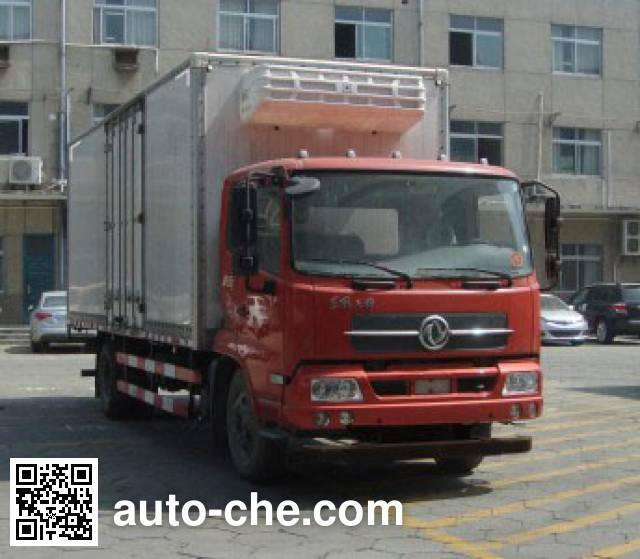 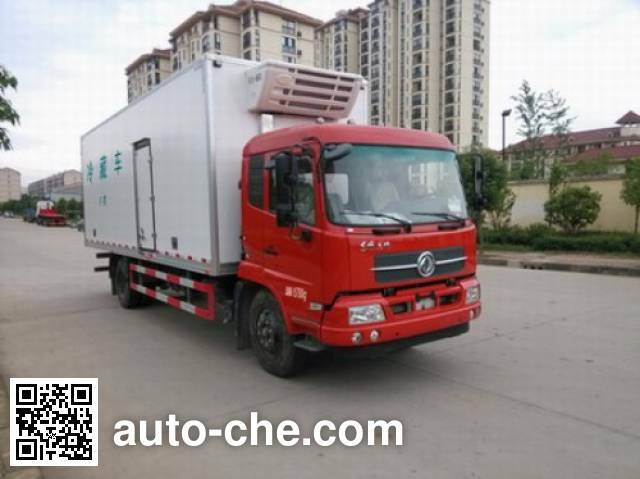 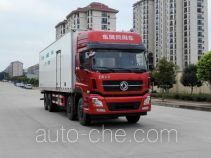 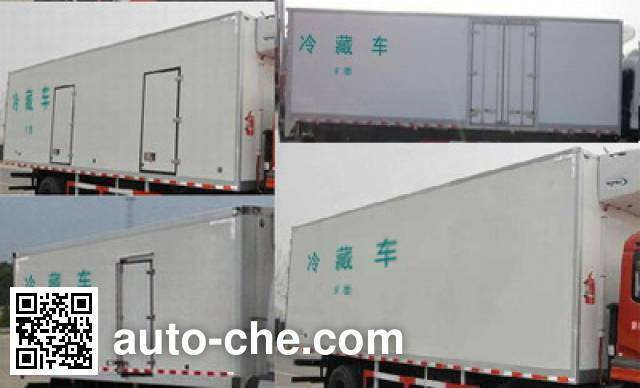 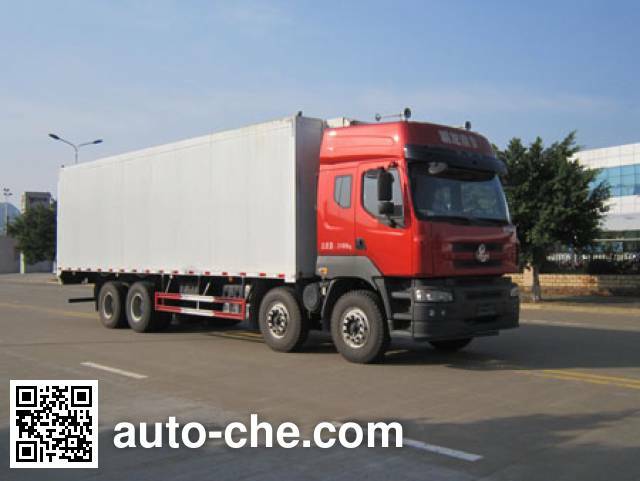 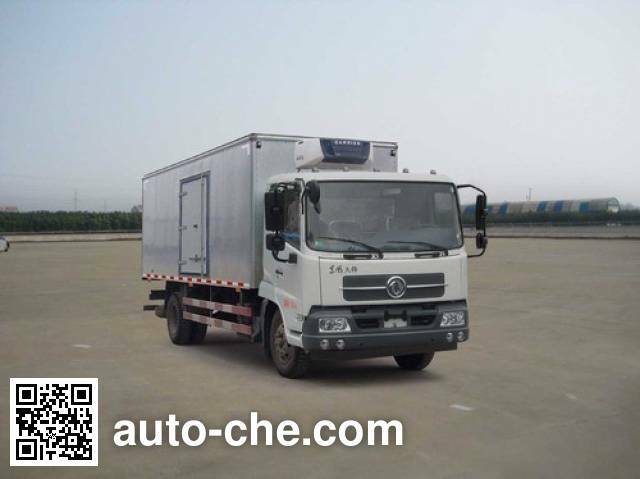 1 EQH160-40 4752 cc 118 kW (161 hp) Dongfeng Commercial Vehicle Co., Ltd.
2 EQH180-40 4752 cc 132 kW (180 hp) Dongfeng Commercial Vehicle Co., Ltd.
Side protection: Material Q235, bolt connection; after under protection: Material Q235, bolt connection, cross-sectional dimensions 100X50mm or 120X60mm, ground clearance 540; top compartment closed, not open the side door and do not open attachments, optional other manufacturers. 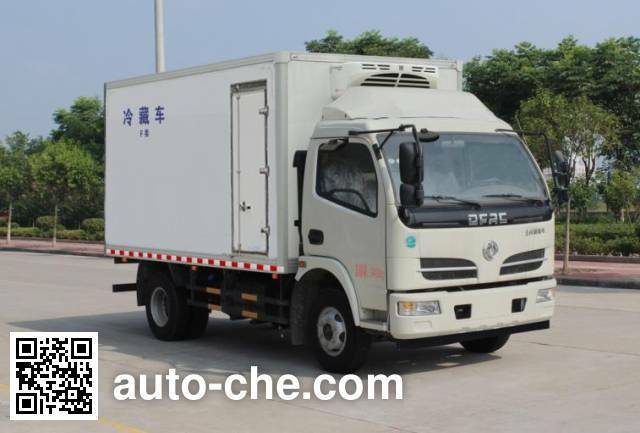 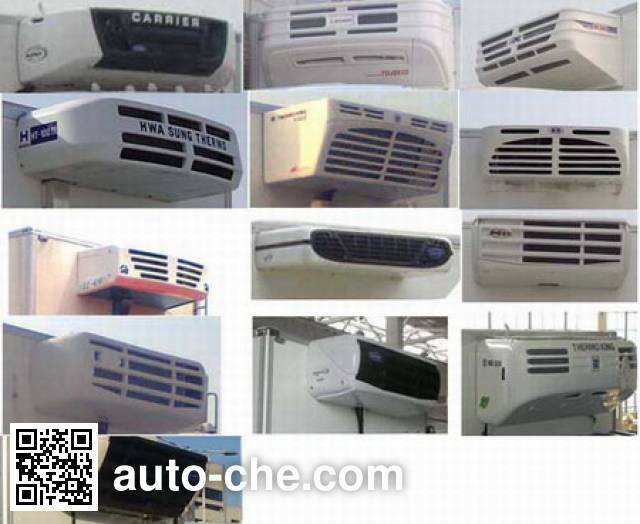 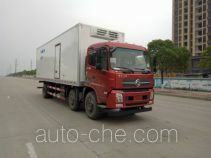 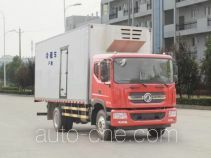 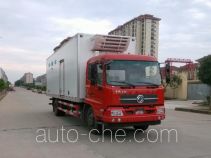 considerable power refrigeration units, optional lift tail plate, the horizontal length of the retracted position when the tailgate is 295mm; ABS manufacturer: East Cork Noel commercial vehicle braking system (Shiyan) Limited; Model: 3631010-C2000; the car should be installed drive recorder with a satellite positioning functions.